The Horse Fly is the creation of a lifetime. 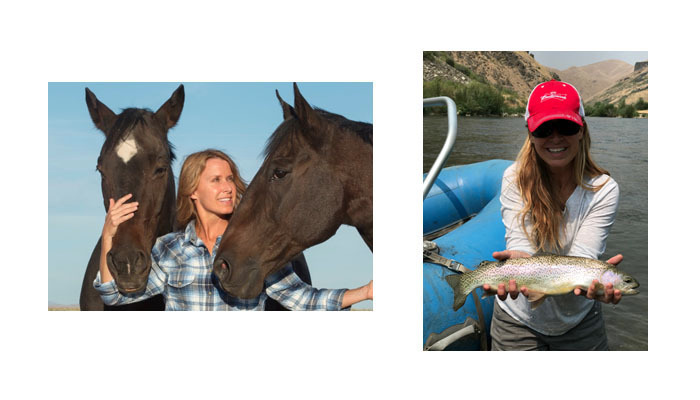 It is rooted in two life-long passions of the Owner and Founder, Karin Brown~ horses and fly fishing. Having lived in Oregon, Utah and Idaho, the outdoors is her heart and soul, and eventually developed into a lifestyle. Through equal parts creativity and timing, The Horse Fly emerged as a manufacturer of home decor and gift items infused with her dual passions and reflective of her outdoor lifestyle. Every product, design and image is original to The Horse Fly. Careful consideration has gone into every aspect of the product line, from design through production. A laser cutting machine cuts all metal products and images, a technology that allows for precision and detail, insuring the integrity of every design and image. Once the piece is cut, the long, involved process of aging and rusting begins. The natural rusting results in a unique patina in both color and texture of the metal. To add to the individuality of every piece, we use recycled barnwood for both its gorgeous natural weathering and its eco-friendly appeal. The beautiful combination of rusted metal and aged barnwood produce pieces that are truly one of a kind. Like the outdoors, The Horse Fly continues to evolve, creating new designs, expanding our image collection and growing our product line. A Skier, Moose and Bear have recently joined our core Fishing and Horse themed products. While we use nature as our inspiration, we rely on our customers for feedback, ideas or ways to improve products or business. Customers are our greatest asset, so we want to hear from you. The Horse Fly's philosophy on service is simple...You will never go wrong by treating your customers right. Superior customer service and quality products is the foundation of our company.